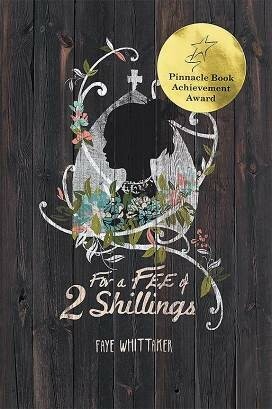 AUCKLAND, New Zealand - July 16, 2014 - PRLog -- Strategic Book Publishing & Rights Agency is pleased to announce the release of its newest title, For a Fee of 2 Shillings, by author Faye Whittaker. The Maori culture is highlighted in this stirring tale set in pre- and post-World War II New Zealand society. Intrigue and mystery shroud the beautiful young Maori woman, Miri. Her attempt to bring about her childhood obsession and fantasy to be other than she is creates a mantle of despair that hovers over her life. The choices she makes, the men in her life, and her mistakes impact her children’s lives, as well as those around her. Fate has a way of confronting those who succumb to their own weaknesses. In this case, fate gives cause to examine religious and spiritual beliefs, family relationships, cultural expectations, bigotry, and prejudices. And it was all For a Fee of 2 Shillings. http://sbprabooks.com/FayeWhittaker or at www.amazon.com or www.barnesandnoble.com.